A lot of people are less active during the colder months of the year and join a health club with renewed interest in fitness during the spring. This is also the time when a lot of health clubs should come up with their own promotional ideas. Most health clubs look at discounts and offers as the only ways to promote their business. These types of promotions are effective if you do not have a lot of competition in your area. However, if you are anything like me and have seven fitness centers within a two mile radius of your health club, you need to step up your game. Start by brainstorming ideas that are specific to your health club’s niche. Start by giving away free weekly passes to your existing members so that they can bring family or friends along. You could also give away free physical training lessons for a limited period. Pick one day a week and promote a “buddy day” at your health club where people can bring along friends to exercise with and at the end of the session undergo free body fat testing. To motivate your members to utilize the “buddy day,” offer the member a discount once their buddy joins the club. Have a fitness booth in a couple of populated places around your area where you can hand out free passes worth a couple of days’ entry. Offer passerbys free body fat testing if they are willing to visit your club. Request your loyal health club members with good physique to accompany you in the fair. Their fit bodies can act as great motivators for potential customers. Project your gym as a fun place to be and make friends apart from working out. Offer smoothies and health drinks during the event for free. Offer other free endorsement goodies like sunglasses, umbrellas, sport bottles, T-shirts, etc… in exchange for their name and email. This email list is a great lead tool that your staff can follow up on. For many people spring also means baseball. A great idea is to merge printed baseball schedules with your health club’s contact information and a free trial pass. 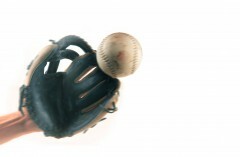 To build camaraderie with current members, you club could also organize a baseball match where different batches can compete against each other or a neighboring club. Your gym members are bound to develop a strong sense of belonging by doing so. Your members need variety to spice up their fitness routines. There are good chances that most people who had joined the gym as a New Year’s resolution start losing interest by spring. People may also be bored of doing the same routine for months or years together. You can introduce a dance workout like Zumba or pole dancing (which is popular here in Las Vegas) to bring in some excitement. The possibilities in this realm are infinite and the only thing you need to do is explore the options. Outdoor exercises can also be a great idea. With the weather being congenial, you could arrange for workouts a couple of times every week at a nearby park or beach. This would not only turn out to be a promotion for your health club, but it could also gauge your members’ interest in adding a permanent program like a Bootcamp, if your club does not already have one. You could advertise your initiative by posting the schedules on your gym’s social networking site and create a buzz and enthusiasm about the routines. One idea is to promote your business to new and undeserved groups. I’m amazed at how few businesses are engaging the growing senior and disabled populations. To that end I developed a simple, user-friendly piece of equipment called The Wheelchair Gym. Check out lotechusa.com to learn more. Thank you for pointing that out and providing information on the wheelchair workout. I just posted another blog titled “Baby Boomers Boosting the Health Club Industry” which I have focused on how gyms can cater to that population. These spring promotions are absolutely great as a major marketing strategy. With these, clients would find these attractive offers and eventually buy and subscribe to such service. These ideas are indeed amazing! I really find these so impressive. Thanks so much for sharing all these brilliant thoughts! Great to hear these promotions were helpful to you and your personal training business! Keep Insight informed as to what worked best ~ we would be interested in the results!